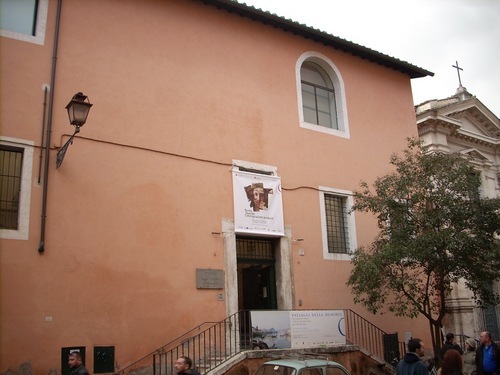 This building, a former Carmelite nunnery and now the seat of the Museo di Roma in Trastevere in Piazza Sant'Egidio, Rome, played an important role in the anti-malarial struggle of Ettore Marchiafava, at the beginning of 20th Century. 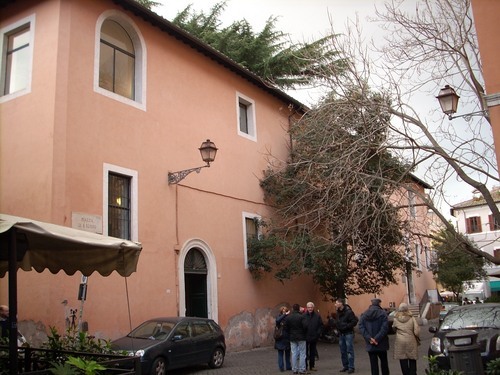 "The building became the property of the City of Rome in 1875 and from 1918 it housed the "Ettore Marchiafava" anti-malarial sanatorium for children. 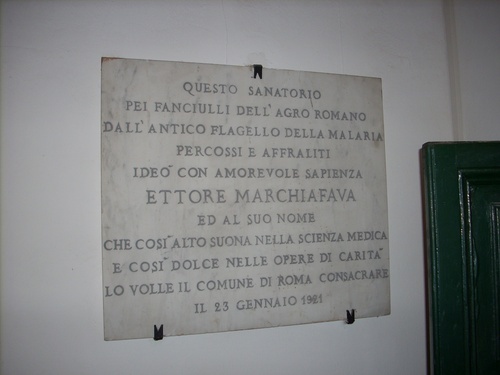 A marble plaque at the entrance to the museum, records the date at which the sanatorium was dedicated to Marchiafava, an illustrious doctor and senator of the realm, expert in malaria and, in 1918, the Officer for Hygiene. These were the years in which malaria was taking many victims from among the workers in the Roman countryside. The youths stayed in the Sanatorium for an average of two months, entrusted to the care of the governing doctor and the sisters of charity of San Vincenzo de' Paoli. The Sanatorium included a vegetable-garden and a small school".1. 1. Retrieved from the Museo di Roma in Trastevere Official Website.